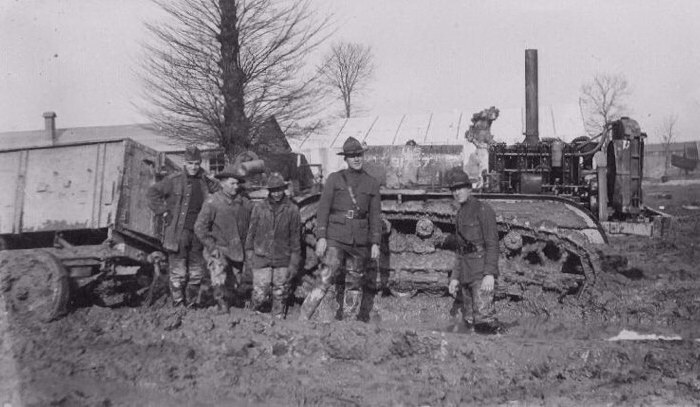 This is a picture of my grandfather, Clare Donaldson (1896 - 1987) while he was in the service during World War I.
Grandpa's 1946 Reo setting steel for the International Harvester Dealership in Plymouth Michigan. 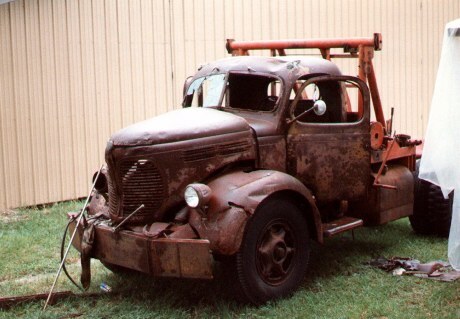 Inside the building is his Chevrolet truck with a welder mounted on the back. 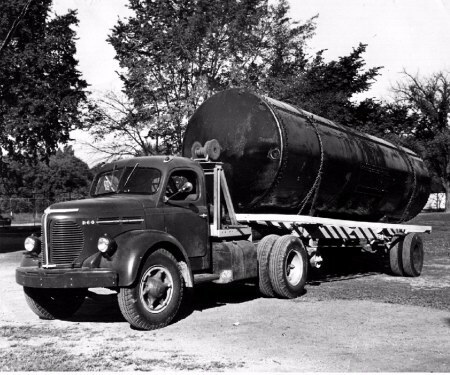 Here is the same truck as above hauling a steel tank. 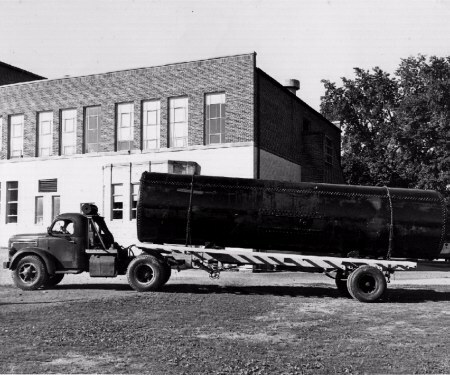 Note the riveted construction of the tank. 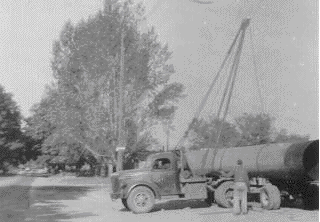 Here the Reo is lifting a piece an exhaust stack that my grandfather made. 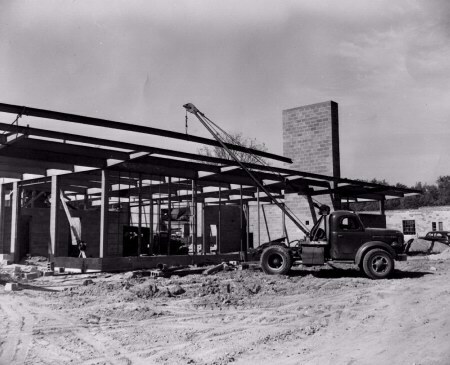 He erected the stack and years later took it back down after it rusted. 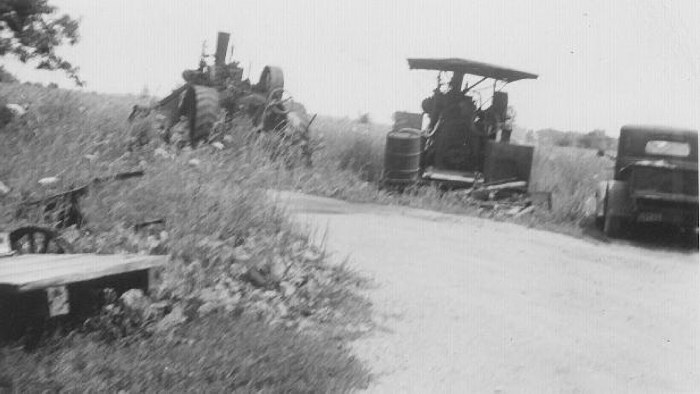 These two photos are not from my grandfather, but they are of his Reo truck. My dad located it many years after my grandfather sold it. 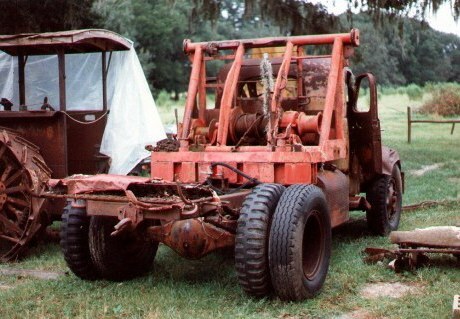 He was able to buy it and he planning to restore it someday. This is a picture that I believe my grandfather took while he was in France during World War I. 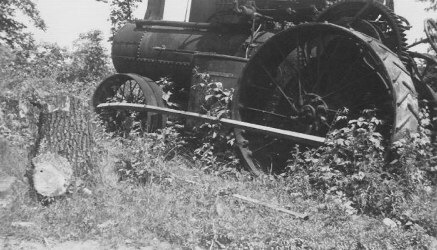 The picture is of a Holt crawler pulling equipment through the mud. 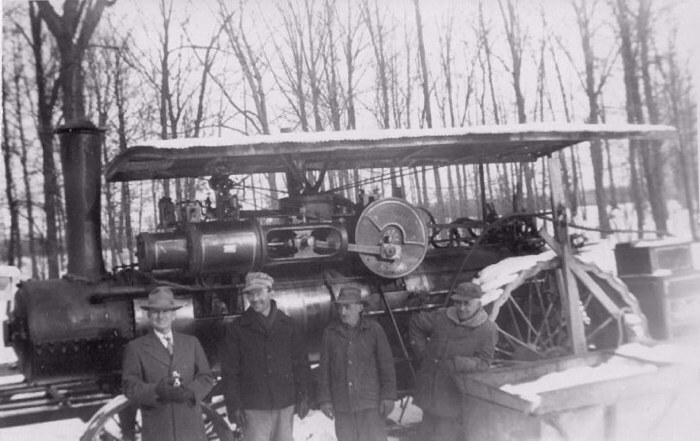 This is an Avery steam traction engine that belonged to a friend of my grandfather, Louie David. This is another steam traction engine of Louie David's. This is Port Huron engine. 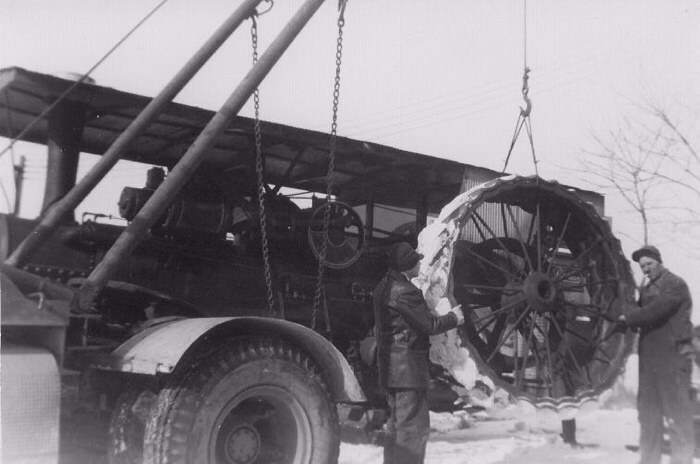 Here my grandfather (on the left) is removing a wheel from one of Louie David's Port Huron steam traction engines. The Reo is being used for this job. 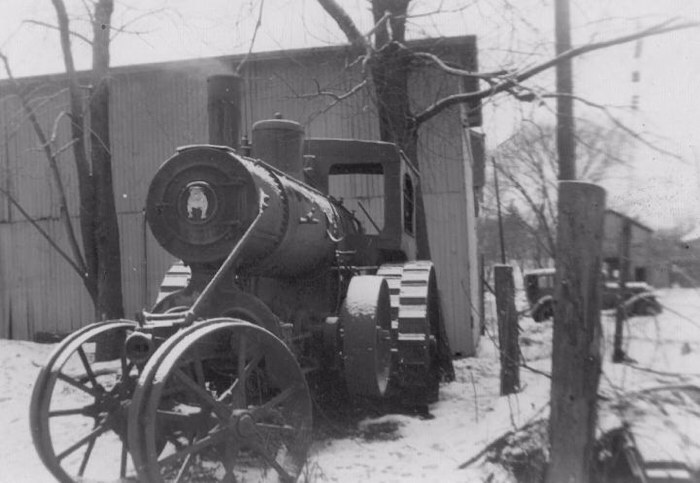 These are two Port Huron steam traction engines that belonged to my grandfather. These two pictures are of a Reeves steam traction engine my grandfather owned. 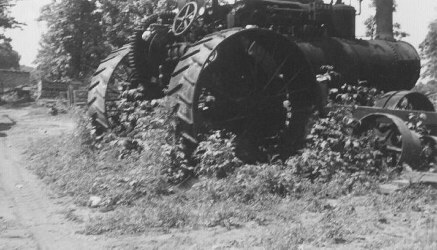 Here are a couple of photos of my grandfather riding in a wagon being pulled by a Utilator garden tractor. I do not know who the other people in the photo are.